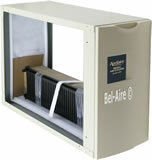 Aprilaire 2200 high efficiency media air cleaner is a complete system. Includes the steel frame, access door, inner plastic housing, and the 5 pleat spaces (combs). The Aprilaire 201 filter is included. Our photos correctly show the items included. 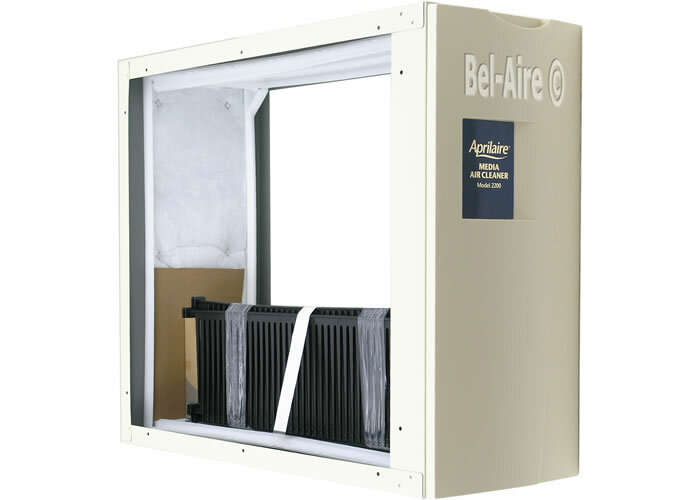 The Aprilaire filter has over 72 square feet of filtering media rated at Merv 10. The filter improves cleaning efficiency over time. The Aprilaire 2200 Whole-Home Air Cleaner can give you exceptionally clean air throughout your home at a very affordable price. The Aprilaire model 2200 was formally the Spacegard 2200. Aprilaire is a brand name of Research Products. The Aprilaire 2200 is made in the USA. Installation requires connecting to the ductwork. No electrical connections are needed.